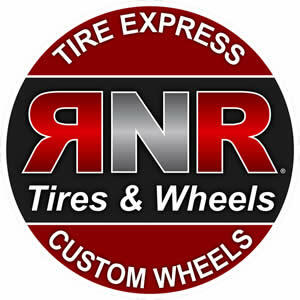 : Cost of RNR Tire Express Franchise? How Much Does It Cost to Own a RNR Tire Express' Franchise? Owning a RNR Tire Express automotive franchise can be a lucrative business, but it does have some initial financial requirements. To open a single tire stores and retreading location, the company requires that potential franchisees have liquid assets of at least $250,000. The franchisee startup costs associated with owning a RNR Tire Express automotive franchise are similar to those of Big O Tires. RNR Tire Express falls under the 'automotive', 'high capital' and 'retail' franchise categories. Across these multiple categories, it is further subcategorized under 'auto detailing', 'auto part' and 'rental store'. See how the investment level of RNR Tire Express' compares to those of other available automotive related franchises. RNR / Rent N Roll is the leader in the custom wheels & tires industry and provides customers the tires & wheels they want by providing options and programs that take into consideration their financial situation. "We Didn't Reinvent The Wheel. . . Just The Wheel Business." RNR Tire Express is not currently accepting new franchise inquiries through this site. Please see our comprehensive directory for currently available franchises near you.